Buying some of my pre-owned cameras, I was glad to be paying one-third the original retail price for my 5D bodies, and proportionately less for my 1D Mark II N bodies. These models are now eight years old, and providing me with enjoyment and quite good images. I have bought new cameras, too, and it is reassuring to know they will probably be working well when a decade old, unless I cause damage to them. Shutter assemblies are replaceable. 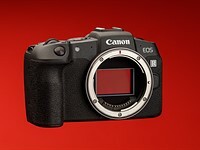 I know, of course, that the manufacturers will eventually cease to support them, but the last time I checked, the 5D and 1D Mark II N were still supported. If not, well, I have received good service from them, including images that are priceless, to me. If the D70s is no longer supported by Nikon, well, that is OK, too. At $100 US, through Ebay, it can be considered disposable.